Winter is here. Spoilers can't wait. HBO’s Game of Thrones has always meant business. Right from its first episode, which ended with a little boy being thrown off from a tower, audiences have been aware that stakes are high, and things can change for characters in the blink of an eye. There have been occasional meanderings, and some plodding distractions (no one wishes for the days when Dany was wandering through Qarth, for instance), but overall, the show has kept its eye focussed on what matters: the machinations that grind behind the struggle for the Iron Throne, and the looming conflict with the White Walkers. Season 7, the show’s penultimate season, is running on a tight schedule. With a total of seven episodes, it’s assumed that we’ll see events moving in quick succession, and some sort of opening sallies against the "real enemy" in the North. Episode 1, "Dragonstone", did a good job of revealing the major pieces still left in the game, and laying out their different agendas. 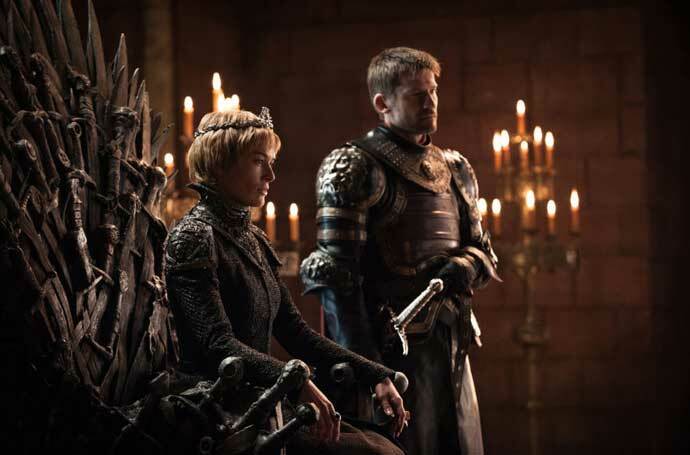 The Lannisters, Cersei and Jaime, are surrounded by enemies in King’s Landing, but for now they still hold the throne, and hence, nominal control of Westeros. 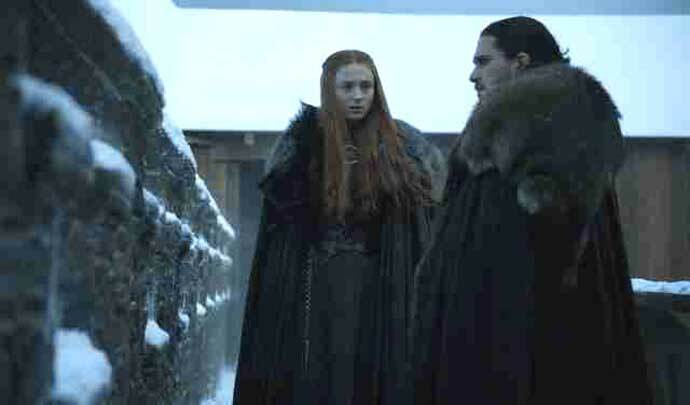 Sansa and Jon are consolidating their forces in Winterfell and preparing to face winter in long-held Stark tradition. Arya is killing her way down south to King’s Landing, while Bran brings tidings of the Night King to Dolorous Edd at Castle Black. And finally, Daenerys has landed at her ancestral home of Dragonstone, just as Samwell Tarly, studying in Oldtown’s Citadel, discovers that this island may just be the key to humankind’s survival. The themes of "Dragonstone" are centred mostly around two poles: emotion and practicality. The only major person who actually moved for power in this episode was Daenerys, and even hers was a homecoming, really. What must have been a very emotional arrival on the beach of Dragonstone ended with a stone-faced, businesslike turn to Tyrion as they stood over Aegon the Conquerer’s famed wooden map of Westeros. Mother of Dragons comes home. "Shall we begin?" Dany asks. 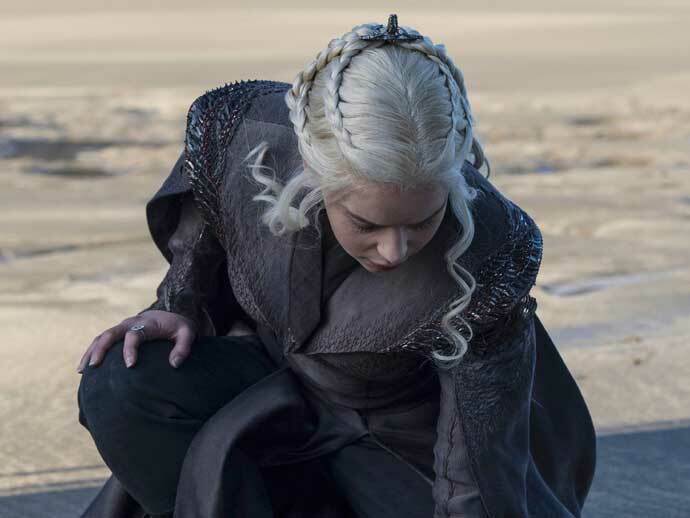 No lingering over the relics of her family’s past; Dany is all business, perhaps surprising even Tyrion with her readiness to get right down to the task at hand. These ideas played out slightly differently in Winterfell, finding opposing views in Sansa and Jon, now King in the North by uncontested election. While Sansa urges punishment for those who betrayed the Starks, namely the Umber and Karstark families, Jon chooses to be merciful, allowing the survivors of these houses — conveniently young and impressionable children — to return to the Stark fold. Their conversation later makes it clear that Jon is upset with what he sees as Sansa’s making him "look weak" before their bannermen; Sansa, on her part, thinks he is making the same mistakes that Robb and Ned made before him, choosing notions of honour over hard, bitter practicality, and ruthlessness. "You have to be smarter than father," she says, underlining what she sees as a dangerous trend in Jon: a nascent unwillingness to be questioned, or coached into taking opinions other than his own into consideration. 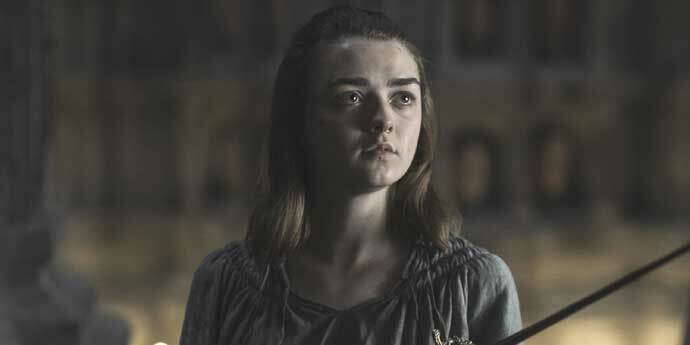 Perhaps she is right to be worried; after all, Jon refused to listen to her before the battle with Ramsey, and walked right into the Bolton trap. Their differences do not augur well for the winter to come, and Sansa’s growing coldness and willingness to assert herself, tempered by her horrific experiences, make her, always a compelling character, a growing foil to her enemy in the south: Cersei Lannister. Cersei is one character who has married emotion and practicality in the most ruthless and effective ways in the course of the show. Everything she does is fuelled by an inner fire, a need to show her own worth or to protect those she loves. Jaime, despite making famous declarations about doing "things" for "love", is a more idealistic character, who cares (sometimes deep down) about doing the right thing, and righting his soiled reputation. When Cersei cannot pause to mourn their "baby boy", Jaime is shocked, but still holds firm by her side. Despite everything, he seems fully committed to her. After all, she is the foundation on which he has built his life, and to admit it is a shaky, unworthy base is to admit that everything he has done, much of the horror he’s committed, is ultimately without justification. We’ll have to see what happens to Cersei's one remaining bond, the one she shares with Jaime. Cersei has no such worries anymore. With the death of Tommen, her last restraints are gone, and she has no one to love, no one to watch or care for besides herself. Lena Headey plays a woman whose heart seems to have withered away inside her, leaving her naught but a driving force of vengeance and rage. Her love for her children was what humanised Cersei; with those children gone, taken from her, there will be no holding her back. We’ll have to see what that does to her one remaining bond, the one she shares with Jaime. "Dragonstone" thus brought us the contenders for power arrayed across the map of Westeros. It showed us how different some of them are, how far they have come from what they once were. Dany is no longer a nervous, unsure girl taking on a massive legacy she doesn’t fully understand; Sansa has no more illusions about romance and beautiful castles; Cersei has weathered multiple storms, and decided no matter what she’s going to live to tell the tale for her and Jaime, if no one else. There’s no point planning to save the world if you can’t see the snake in the path before you. But then, you have Jon, the only (at this point) serious male contender for power, if a reluctant one, who has circled back to the traditions and ideals upheld by his family, the same ones that got those men killed. Jon might have the greatest ability to look at the bigger picture, being the only one who is serious about fighting the White Walkers, but viewers have to worry about him surviving to fight them, since he has proven himself to be quite stupidly blind when it comes to dealing with people. There’s no point planning to save the world if you can’t see the snake in the path before you; you’d think he would have learned that lesson by now. Editor, reader, Sindarin Elf. Reviews books for @NewIndianXpress. Blogger for @momentumbooks.